This summer, two professors from Department of Earth Science at the University of Gothenburg* conducted a GPR-survey using a system from Guideline Geo MALÅ. 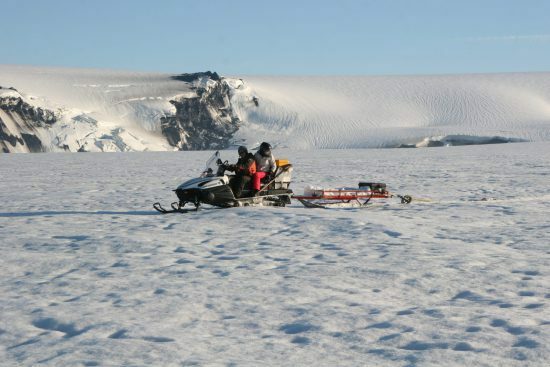 The survey took place around Vattnajökull, Europe’s largest glacier. The average temperature, during this time, sank as low as 8 degrees Celsius, which apparently makes it the coldest summer in a hundred years. Fortunately that didn’t stop the two professors from completing the research and sharing the results with Guideline Geo. – Identify the distribution of ash layers from the volcano’s last distribution 2011. – Investigate the internal structure of Skaftárkatlar and follow the position of the groundwater table, to learn more about the dynamics of the volcano. What instruments were used and what were the results? More details on techniques and result can be read in full in our case story library. Go to Case stories. * Highly appreciated, Professor Erik Sturkell and Msc Andrea Håkansson, M Sc student, Department of Earth Science, University of Gothenburg in Sweden for sharing this case story.